Some of us look forward to the short stuff, a nippy parkrun on a chilly Saturday morning, others think nothing of knocking out 26.2 miles (or further!) before breakfast. But, for others (that’s me! ), it’s all about the mud and guts of cross country. The first XC race of the season showed the very best of our club. 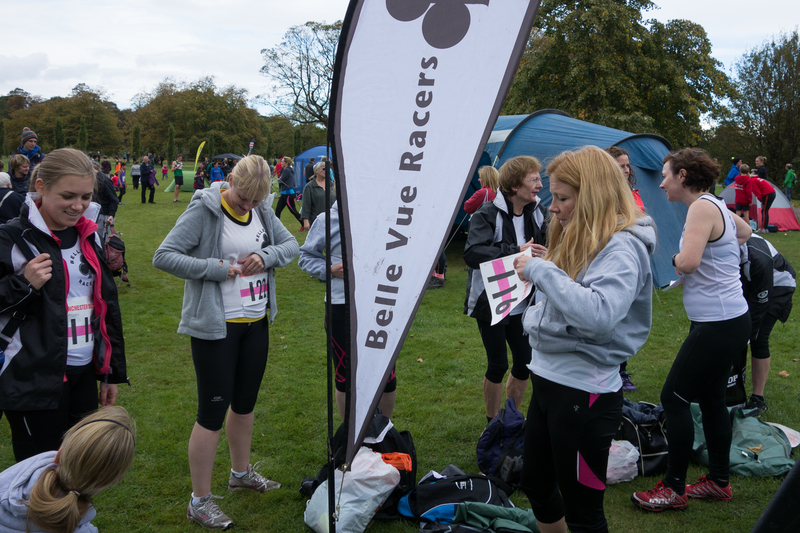 Twenty-one brave Belle Vue Racers (compared with seventeen for the first race last season) donned the black and white for the race at Woodbank Park. With the Stockport race being a little earlier in the season and drier than last year, conditions underfoot were more comfortable although the triplet of steep climbs towards the end of each lap sapped the legs nevertheless. An excellent team spirit prevailed, with many of the women hanging around after their race to vociferously cheer the men around the course. I hope the boys can repay the favour at Sherdley Park in a few weeks.